There were a total of 6,677 new condominium apartments sold across the GTA during the third quarter of this year. That amounts to a 73% increase year-over-year, allowing sales to reach the highest level of third quarter activity on record. Sales were 58% higher than the 10-year average for Q3 periods, as well as 12% higher than the previous record for the period, which was set in 2007. Total unsold inventory in development dropped 33% year-over-year to 11,485 units, the lowest level it has been since Q1-2007. The average selling price for a new condominium apartment continued to climb, rising 2% year-over-year to $590 per square foot. 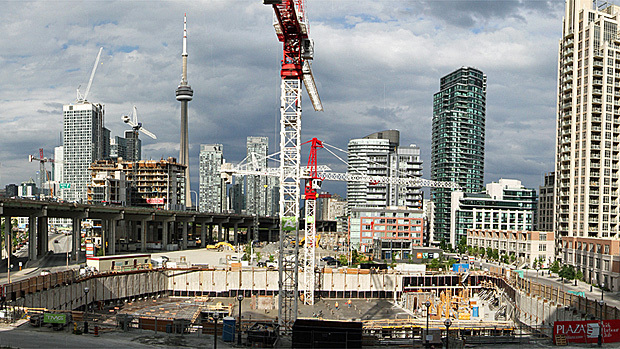 GTA-level price growth has slowed due to a shift in new development activity to areas outside of the downtown core. Within the former City of Toronto, average index selling prices increased five per cent year-over-year to $674 per square foot, while asking prices for unsold units increased by 12%, although the number of unsold units fell 48 per cent annually to an all-time low. Price trends for new condos are starting to mirror the resale market, where average index prices climbed 12% year-over-year to $511 per square foot, or $667 per square foot within the former City of Toronto. The pace of new condo development has fallen well below the level of demand this year. Given the low prevailing amount of available supply and diverse range of buyers, the recent mortgage insurance rule changes are anticipated to have a somewhat limited effect on market conditions for condos in the near term. Between January and September 2016, there were a total of 19,917 new condominium apartment sales across the GTA. Over that same period, there were only 12,189 new units available for pre-sales, creating the largest discrepancy between sales and new supply on record. In total, 90% of the 111,207 units in development were pre-sold as of Q3-2016, with 80% of the 30,426 units in pre-construction already pre-sold, up 16% from last year’s levels. Among the new units that opened for pre-sales during Q3, 63% were already sold by the end of September, which is one of the highest opening quarter absorption rates on record. Demand among end-user buyers of new condominium apartments has been increasing, as the quarterly absorption rate of remaining supply within existing projects from previous quarters climbed to a record high of 29%, more than double its 10-year average. Also, sales of more expensive units have also been growing in the resale market, rocketing 62% year-over-year among units for more than $600,000.